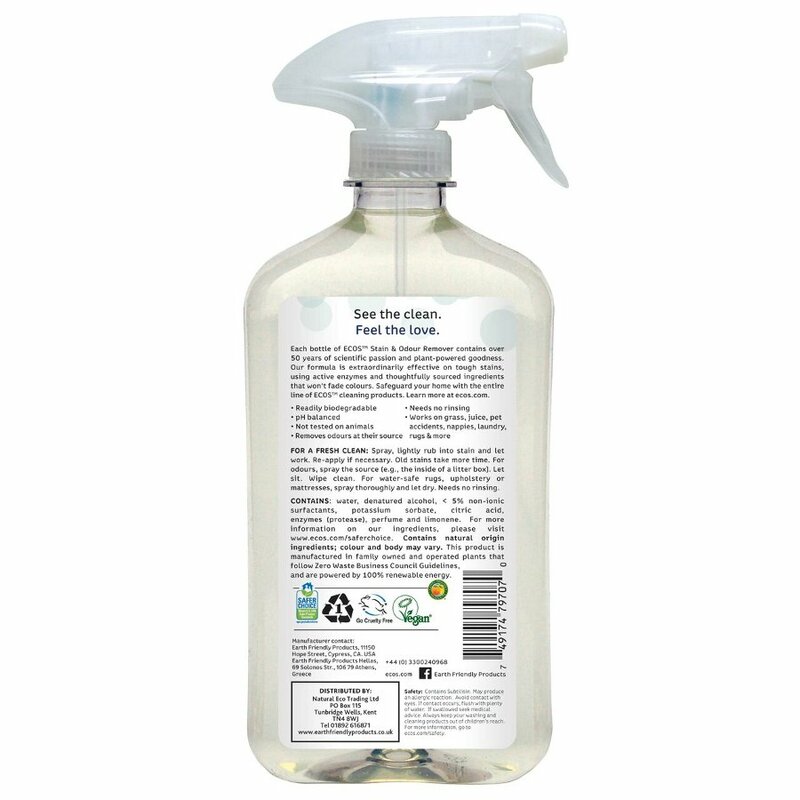 This natural formula of enzymes and plant ingredients works well to remove stains and odours from laundry fabrics carpets furniture fridges or bins. Non-toxic and non-irritating with a delicate lemon oil scent. Effective on organic stains such as dirt food blood or grass. Not for use on delicate fabrics. water, denatured alcohol, < 5% non-ionic surfactants, potassium sorbate, citric acid, enzymes (protease), perfume and limonene. 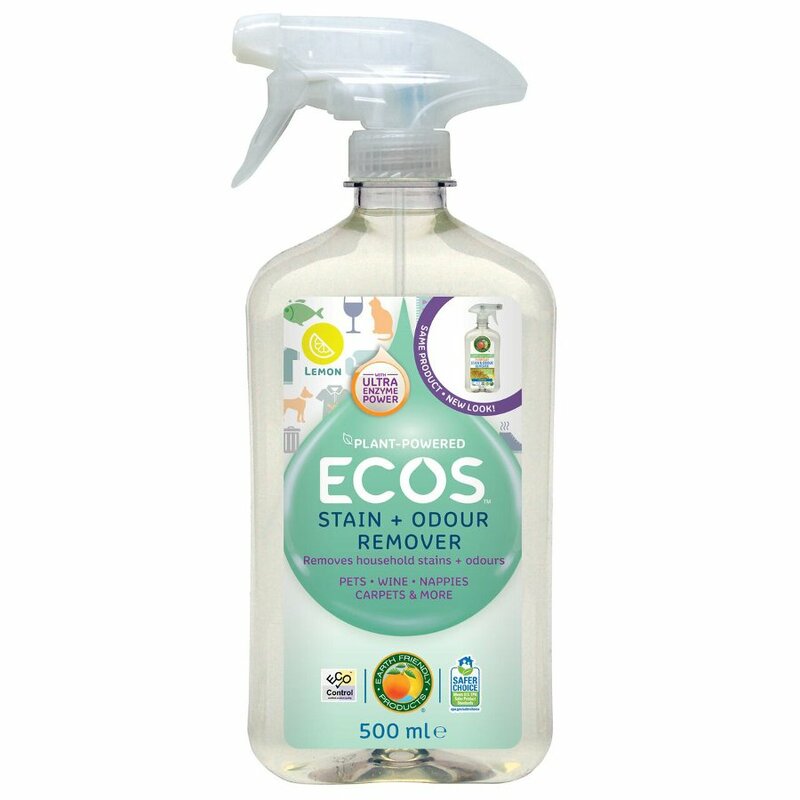 There are currently no questions to display about ECOS Stain & Odour Remover - 500ml.